The Brookside Fire e-learning fire safety course helps you to fulfil this obligation by providing your staff with the knowledge and understanding required to act safely in the event of a fire in the workplace should the need arise. 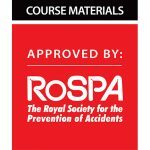 The course is RoSPA Approved and Fire Authority Approved to help our clients meet the requirements of the Regulatory Reform Order. The content of the course has been independently certified as conforming to universally accepted Continuous Professional Development (CPD) guidelines and offers 1 hour of CDP credit for each course completed. This course allows businesses needing to train their staff in fire safety procedures to meet this obligation in a cost-effective manner. The Brookside Fire e-learning fire safety course will help your employees understand the legal requirements for fire safety. Your staff will learn what causes fire and what can be done to help prevent fire. They will learn what key factors are involved in the event of an evacuation, recognise different types of fire and what fire extinguishers they can use. Staff can access the course 24 hours a day, so your staff carry out the interactive, self-paced course when it is convenient for you. Start training your staff today with this sustainable low cost, cost effective training course from your fire safety experts at Brookside Fire Service. You purchase credits from Brookside Fire, each credit gives 1 staff member access to the online training. You will be issued with access codes via email. You organise for your staff to complete the course at your convenience. Upon purchase of the credits you have 12 months in which to use them. The course usually takes approximately ½ an hour and all delegates are issued with a certificate on completion. Email our training coordinator on sales@brooksidefireservice.co.uk with how many credits you require or call us on 0121 457 8484 for more information.